Lord Subramanya Self-manifested here in an anthill. Kukke Temple is 53 km from this place. Temple is known for Ashlesha Bali Pooja, Sarpa Samskara Pooja and Nagapratishta Pooja. Temple is heavily visited in the South India. This fort was built during the reign of Tipu Sultan in 1794 AD. This fort was called by Jamalabee, who was the mother of Tipu Sultan. It is 1876 steps to the reach the fort through the narrow path. This fort came under the control of British in 1799 AD and victory over Tipu Sultan in 4th Mysore war. This fort is 15.3 km away from this place. The uniqueness of this temple is that there is no Garbha Griha for the main deity, Ganesha. Temple is 3 km from Kokkada and 16 km from Dharmasthala. Vinayaka Chaturthi will be celebrated in a grand. This temple is dedicated to Lord Krishna. The main deity was installed by the Vaishnavite saint Madhwacharya in 13th century. 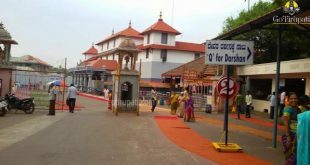 Temple is 100 km from Dharmasthala. Goddess Sakthi self-manifested here as Mookambika. This temple is known for Vidyarambham, which will be performed daily. 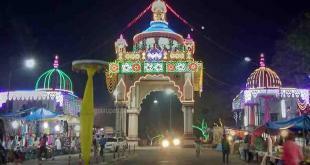 Navaratri festivals will be heavily crowded. Temple is 160 km from Dharmasthala. This temple is dedicated to Lord Siva. The 20 tiered Temple Tower (Raja Gopura) structure stands unique which is of 237.5 ft tall. This is the tallest Gopura in the Asia. Temple is 200 km from Dharmasthala. Many popular temples such as, Mahabaleshwar Temple, Maha Ganapathi Temple, Uma Maheshwara Temple, Bhadrakali Temple, Tamra Gauri Temple, Venkataramana Temple and Kotitheertha tank are located in Gokarna. Lord Siva’s Atma Linga is located here. 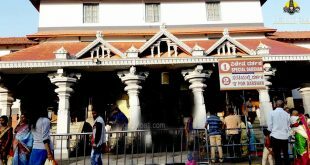 Temples is 282 km from Dharmasthala Temple.